We are Manufacturer, Supplier, Exporter of Combine Auto Testers, Magneto Part Testers. The excellent array of Tekson Combine Auto / Magneto Part Tester TK-226 is admired for its optimum performance. 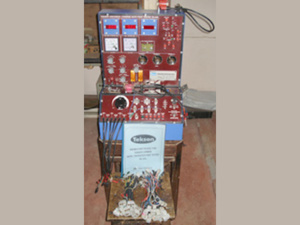 These testers are widely used in varied industries for varied applications. Further, our testers are developed in compliance with the global market standards. In addition, we offer these testers in varied specifications so as to fulfill the diverse requirement of the clients.